After months of little insight into president-elect Obama, we are inundated with minor details of his life—how he shops, what he likes to eat, read, etc. This is all refreshing and welcome, but I wanted to hear more about his character traits. Inadvertently, I may have. Today’s Orlando Sentinel ran a story (source: Chicago Tribune) about Obama’s new press secretary Robert Gibbs which dropped clues to a side of the future president heretofore unreported—at least to my eyes. These two incidents tell me a bit about his character. · On one of his last nights on the campaign trail, Barack Obama was agitated. He was backstage and face to face with a traveling aide after giving a speech to an overflow crowd at a football field. Like a referee inserting his body between two fighting players, Robert Gibbs quickly stepped in and ushered Obama away from the ashen aide. Later Gibbs said the flare-up was over a teleprompter malfunction. · Because of his long history with Obama, Gibbs is one of the few people viewed as being able to “speak the truth” to the president-elect. To the first incident, you might surmise that Obama has a short fuse and intimidates his aides. This was about a teleprompter malfunction. Did Obama know why it malfunctioned? Did he jump to the conclusion without evidence that the aide was the cause? At any rate, I don’t like to work for people who react like that. The second incident tells me that Obama is not open to hearing “the truth” from everyone. Are aides to sugarcoat every issue for him, or simply not bring the issue up? I don’t know about you, but these two insights into character do not pass my smell test. The following is from an Obama interview in 2001. Now I think I know what he considers flawed in our government — the Constitution. If you feel the same, vote for him. If you trust the founding fathers more — DON’T. Whomever is elected must put his hand on the Bible and swear to protect the Constitution. Can Obama do that? Will he? His own words lead you to believe not. His quote is below. Italics are mine. If you look at the victories and failures of the civil rights movement and its litigation strategy in the court, I think where it succeeded was to invest formal rights in previously dispossessed people, so that now I would have the right to vote. I would now be able to sit at the lunch counter and order and as long as I could pay for it I’d be OKBut, the Supreme Court never ventured into the issues of redistribution of wealth, and of more basic issues such as political and economic justice in society. To that extent, as radical as I think people try to characterize the Warren Court, it wasn’t that radical. It didn’t break free from the essential constraints that were placed by the Founding Fathers in the Constitution, at least as it’s been interpreted, and the Warren Court interpreted in the same way, that generally the Constitution is a charter of negative liberties. Says what the states can’t do to you. Says what the federal government can’t do to you, but doesn’t say what the federal government or state government must do on your behalf. How Much More in Your Pocket? 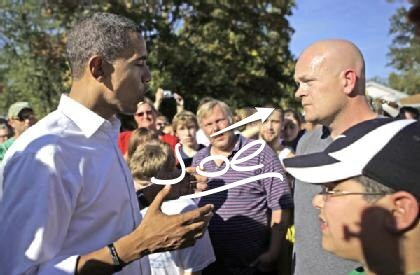 We are missing the real lesson of Joe the Plumber, the citizen who asked a question of Obama at a rally. He wanted to know how an Obama tax increase to taxpayers making over $250,000 would affect him when he buys the plumbing company he is working for. A simple question that has become a new game called “Kill the Questioner.” The Google engine heated to fiery red immediately after the report aired. We soon learned Joe had no plumbing license, made only $40,000 (How could he afford to buy a company, we were asked.) and owed personal taxes to the state. Keith Olberman even did a six-degrees-of-separation search that placed “someone with Joe’s last name” as a cousin of Charles Keating of S&L fame. So what is the real lesson? This is it. If you attend a rally, town meeting or ask a question at a debate, be very, very sure all your parking tickets are paid, your alimony is up to date, you scrubbed your computer of X-rated sites you visited last week, watch only PBS, listen to classical music and don’t pick your nose at the traffic light. I jest — but in truth. The REAL lesson is DON’T QUESTION AUTHORITY. Got it?